A single render of the Nokia 7.1 Plus has appeared on SlashLeaks. The handset can be observed from all sides in the image. On the front, we can see that HMD has opted for a slim bezel design with a rather large notch to accommodate the front camera. The back side hosts the Carl Zeiss-branded main dual-camera combo and the fingerprint scanner. There's a headphone jack up top, a type-C USB port at the bottom, while the volume rocker and power buttons rest on the right side of the phone. However, things don't end here. The leak also contains all the major specifications of the Nokia 7.1 Plus. According to the information, the handset weighs 6.28oz (178g) and measures at 6.09×2.98×0.31 in (154.8×75.76×7.97 mm). A 6.18-inch LCD screen with a 2246×1080 resolution is on board. A Snapdragon 710 SoC running at 2.2GHz is powering the device. HMD Global has also gone for a very respectable 6GB of RAM that arrives in combination with 128GB of on board storage. Camera-wise, we have a 12MP+13MP dual main shooter and a 20MP selfie cam. Keeping the lights on is a 3,500mAh battery, which is slightly larger than the expected 3,400mAh cell. The phone will run Android 8.1 Oreo out of the box. Due to HMD Global’s history of speedy updates, though, Android 9 Pie will likely be pushed out to the smartphone by the end of the year. There's even a Chinese user manual uploaded to SlashLeaks, so feel free to check it out below. Lastly, we have the price - the Nokia 7.1 will sell for 2699 Yuan in China. This roughly equates to $390, but keep in mind that prices might be different should the handset make its way to Europe and the US. Albeit comprehensive, the information is still unofficial, so take it with a grain of salt. Still, we only have to wait a day to see if it's true, so stay tuned for more news about the Nokia 7.1 Plus! Should these specs hold true, this appears to be a pretty good midrange smartphone. Glad to see that the battery is a little bigger. I’m eager to see some real life performance out of the SD710 SoC, especially its power management capabilities. Larger battery than what was originally reported about this smartphone, and I don’t care now you feel about a notch. We are not here to make you feel us about our opinions. So don't act rude when someone else gives their opinion. Even if you are a Nokia fanboy you should respect others. And your comment still doesn't change the fact the 7 Plus's successor has a smaller battery. Why do you feel like killing everyone who talks against Nokia, even if they are right. I've noticed your fanboyism in almost all Nokia articles, where you are usually the first one to make a comment. And I’m not here to entertain you or anyone else about whatever opinions they may have. Me saying that I don’t care about his opinion isn’t rude, it’s a fact, just like I don’t care about yours, either. You have been attacking plenty of people about their opinions as of late, on a few articles, so save the “you should respect others speech” for when you decide to practice what you preach. People give their opinions and I give mine. Don’t respond to me to begin with, and you won’t have to worry about the response I give back. I’ve noticed your fanboyism on Apple articles, even though they continue to launch smartphones with buggy software, iteration after iteration. Why do you feel to attack others on those articles, even when they are right? In other words, Pot, meet Kettle. +1 for calling out the fanboyism. Funny thing is that I'm actually wanting them to release the phone to the US and he still sees the need to shoot someone's opinion down just because he's a fanboy. Point out where I've shot down your opinion of HMD bringing these smartphones to the U.S as opposed to pointing out WHY they haven't brought certain smartphones to the U.S and have been focusing on where they are strongest. Don't worry, I'll wait.... While you're at it, do remember that you've been fanboying hard for both Google and Essential, running interference over their crappy software and flopped smartphones. In other words: Pot, meet Kettle. You literally do it every time I make a comment about them releasing their devices here in the US. Don't try to backtrack now. Oh I get it, you're still mad because they released the Pie update for their phone while some Nokia phones are still waiting for the update. So you can’t post a link that has me saying it’s a bad idea for HMD to bring its Nokia branded smartphones to the U.S.? No? Because that would be proof of me “shooting your opinion down”, as opposed to me posting about what they focus more on markets that they are successful in, just like Huawei and Xiaomi does. Stop changing the facts around to suit your false narrative. Oh. I get it. You’re still mad that just ONE Nokia branded smartphone has outsold the Essential Phone by millions, and you’re mad that HMD is a top ten global smartphone manufacturer, while Essential isn’t even a blip on the screen. And a chin to boot. Pixel 3XL has launched with a chin as well. Just saying. The Pixel 3 XL has dual speakers. Your point? My point was that it has a chin. But don't let me stop you from your hypocrisy moment. Carry on. Your point was to move the goalpost back again. I'm wondering why Nokia didn't announce this one for the US instead of the 7.1. This is better than it in every way. Hopefully we will get 7.1 Plus in the US with proper US band support. HMD (not Nokia, since they don’t make smartphones anymore) seems to be making smartphones that cater to the needs of different markets. While the 7.1 Plus may get launched in the U.S. as it’s intended to receive a global launch, I’m not surprised that they would launch slightly better spec’d smartphones in the markets that they are strongest in first and foremost. 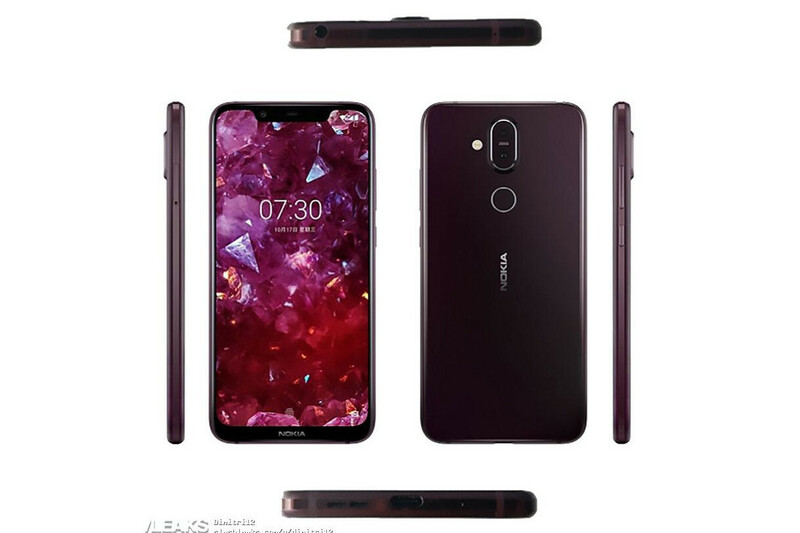 Specs is good but design is bland with a potruded camera compare to Nokia 7,6.1,7 plus.Price is high too with 390$ in my country currency Rs.exchange rate and there notch line X moniker phones are less appealing to me than there notchless phones due to build material and design inside it.Will wait for Nokia 6.2,7.2 at 2019 MWC. The US is a strong market, despite what some would say. It's ludicrous for Nokia to ignore the US market where there's users who are more in favor of affordable midrange smartphones. HMD isn’t ignoring the U.S. market, as they’ve just launched a smartphone here, and have others that are readily available in the U.S. market, despite what some may say. It’s ludicrous to believe that H!MD will focus the same amount of resources on a market that aren’t as strong in, as opposed to one they are stronger in. The method of focusing where they are strongest is working well for them, which is why they are now a top five brand in European countries, as well as in the global top smartphone market. It's ludicrous for some people to get emotional just because someone suggests that Nokia release their devices here in the US with proper US band support. They only have a presence here with low end phones. The 7.1 doesn't release until November. Get over it. It's preposterous for some people to get triggered just because someone suggests why HMD (not Nokia, they don't make smartphones anymore) doesn't focus as much of their resources on a market they are weaker in as opposed to one they are strongest in. It only makes smart business sense, and has served them well thus far. Get over it. It's also funny how the goalpost has now been moved from "no smartphones in the U.S." to low end smartphones in the U.S. It's preposterous for some people to get triggered just because someone suggests why HMD (not Nokia, they don't make smartphones anymore) doesn't focus as much of their resources on a market they are weaker in as opposed to one they are strongest in. It only makes smart business sense, and has served them well thus far. Get over it. You just couldn't help but post your thoughts twice? So nice I said it twice. LMAO!